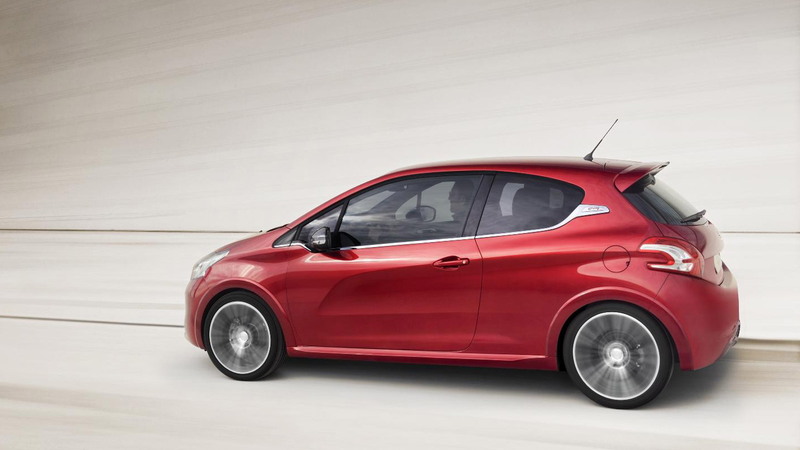 The latest generation 208 hatchback from French automaker Peugeot made its debut in Europe recently and now, just a few weeks out from the 2012 Geneva Motor Show, a sporty ‘GTi’ version has been previewed in concept form. 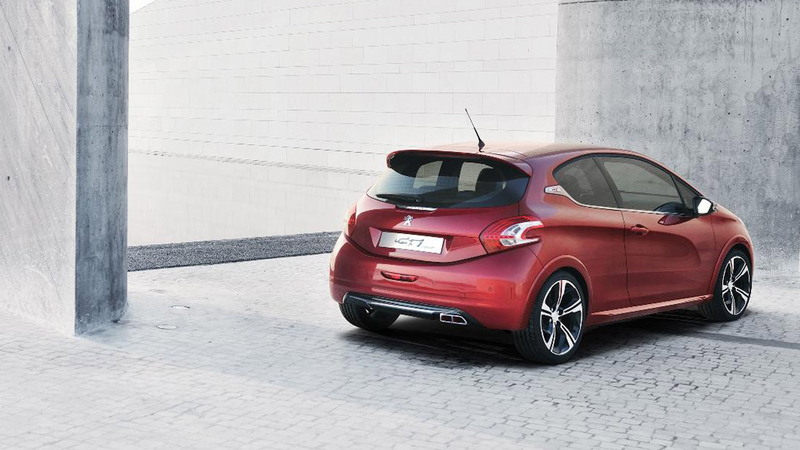 While Peugeot is yet to officially confirm that it will be launching a GTI version of its new 208, it’s a safe bet that one will come considering the success of past generations as well as this latest concept. Power comes from Peugeot's RCZ THP 200 engine, which displaces 1.6 liters and develops a peak output of 197 horsepower and 203 pound-feet of torque. 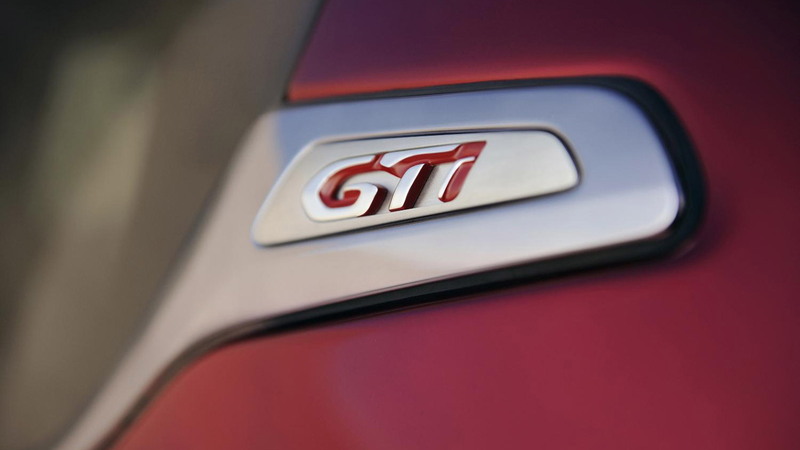 Matched to a six-speed manual transmission and driving the front wheels, the tiny engine will accelerate the 208 GTi Concept from 0-60 mph in around 7.0 seconds. 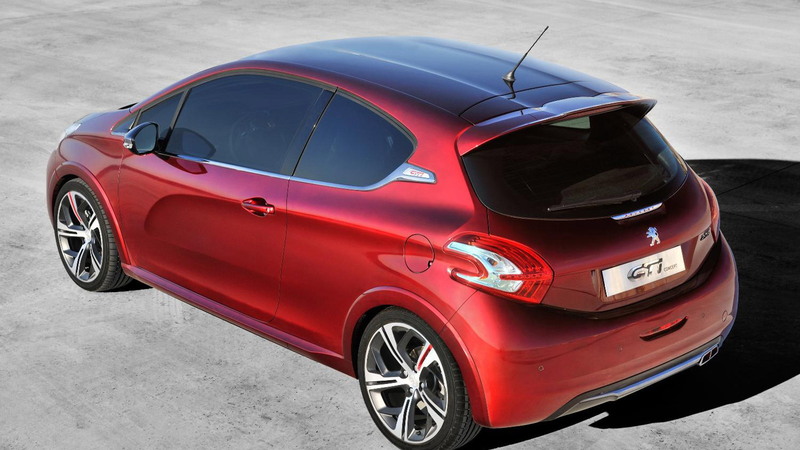 Compared with the regular 208 on which it’s based, the 208 GTi Concept gets a 36-mm wider track at the front and rear, as well as a rear roof spoiler and uprated brakes. Other distinctive exterior features include double chromed exhaust tailpipes, a full bodykit, and a brushed aluminum 208 GTi Concept logo. On the inside, the passenger compartment is a true GTI environment, with a characteristic sports leather stitched steering wheel and matching gear lever, double stitching in the seats, and modern LED backlighting for the instrument gauges. The seats are trimmed with Nappa leather on the outer section, and cloth in the center with an embossed tartan motif, and a leather head restraint. Interestingly, Peugeot is revealing not one, but two concept cars in Geneva. 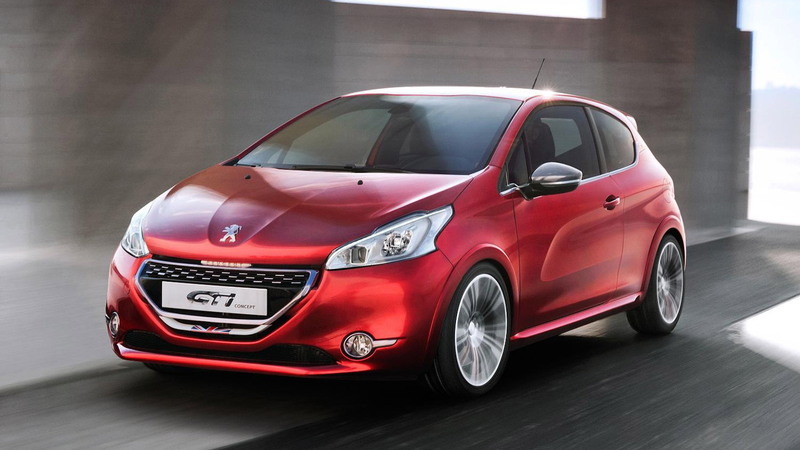 In addition to the 208 GTi Concept, Peugeot will also debut its 208-based XY Concept. Described as being “Urban Chic,” the XY Concept is aimed at city dwellers looking for a car with modern technology, a fuel efficient drivetrain, and plenty of style. Press days for 2012 Geneva Motor Show commence on March 6 so stay glued to our dedicated show page for all the latest info and photos in the meantime.